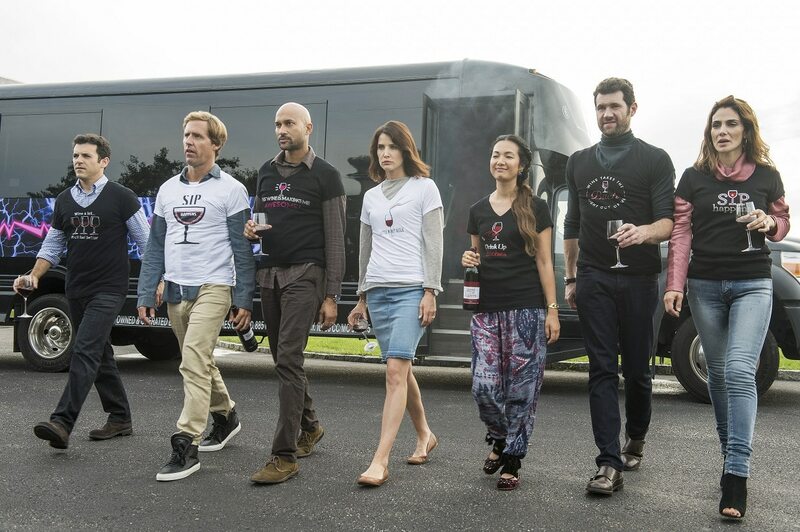 In Netflix’s latest, Friends From College, we see what happens to a group of 40 year old friends from Harvard when two of them return to rejoin the group. With complicated and interwoven relationships developed over the years, Friends From College is a comedic exploration of old friendships, former romantic entanglements, and balancing adult life with nostalgia for the past. Friends From College stars Keegan-Michael Key (Playing House, Key and Peele), Cobie Smulders (How I Met Your Mother, Avengers), Annie Parisse (Person of Interest, Vinyl), Nat Faxon (Married, Ben and Kate), Fred Savage (Wonder Years, The Grinder), and Jae Suh Park (The Big Short). The series is executive produced by Nicholas Stoller (Neighbours, Neighbours: Sorority Rising, Forgetting Sarah Marshall, Get Him to the Greek), who also directed all eight episodes. There are lots of recognizable faces in the cast which offer a diverse character set so you’re getting the post-college perspective from various angles including sexuality, ethnicity, and socio-economic status. The hilarious situations the group find themselves in have you on the edge of your seat, leaving you wondering if and when the secrets each of them are keeping will be exposed. Two of my favourite scenes: the gangs book idea brainstorm session and the New Jersey wine tour, both hilarious moments that are reminiscent of the hijinks found in The Hangover and Bridesmaids. Cameos from Kate McKinnon and Seth Rogan are a delight and I hope to see more of them in the second season. Gay comedian, Billy Eichner, guest stars as Savage’s husband and stands out as the exasperated partner struggling to incorporate his partner’s friends into their lives – which we can all relate to. Millennial music fans will also love the soundtrack, an ode to the 90s featuring tracks by Cornershop, Liz Phair and Oasis.